Staying home with my children. Teaching part time. Building my business at night. I truly thought it would be the best of both worlds. I pictured slow mornings with the babies, finishing my coffee, playing blocks and puzzles with my toddler, gazing into my baby's eyes while he cooed back at me. Then I could get glamorous in my pencil skirts and cardigans and pass the children off to someone else while I shared my passion for the Spanish language for a few hours. I would work my side hustle in the evenings with vigor, pursuing my other passion of helping others look and feel their best. And some days are actually like that. Other days...aren't. Other days are me running out the door 10 minutes later than I intended, a hurricane of sweat in the Florida heat. Some days I happily escape to teach after a morning spent scrubbing marker out of the couch. Some nights I collapse into bed at 10 p.m. after finally completing my lesson plans and correcting, feeling guilty for not even touching my business. Not every day is idyllic, but I am so thankful that there are so many ways I can use my talents to serve others and provide for my family. One thing stood out to me very quickly this fall as I stepped into my new role of being a mother of 2, part-time teacher, and part time business owner: my organization needed serious improvement. So many people advocate using your phone calendar, passion planners, or other intricate systems. I knew that in this stage of my life, there was no way I could stick to most of those. I never bothered to open the calendar on my phone, and I needed to keep things simple. I have finally developed a simple system that works for me. I'm sharing it here in the hopes that it will help someone else find their organizational sweet spot! 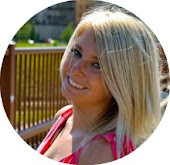 Here's how I juggle faith, family, work, business, and down time. We use a dry-erase calendar in the kitchen where we write in church and school activities, doctor appointments, social events, going to the gym, and family time. It's that whole metaphor of filling a jar with the big rocks first (the most important things in life), then the pebbles (other things that matter), then finally filling in the open areas with sand (things like Netflix). The most important things MUST be scheduled in first before filling the open areas in our schedule. That means spiritual life, and family time take priority. Next comes scheduled workouts, work time, and family budget meetings. Finally, social events are added in. I purchased a large desk calendar for my workspace to manage my lesson plans for teaching, appointments for my business, and Wellness Nights I book with friends. I also copy many of the same things from the family calendar, because I know I will need to see it in several places. This is my personal calendar. I found an inexpensive small day planner at TJ Maxx to carry in my purse in case I need to keep track of dates while I'm out. I honestly don't remember to open it up much, which is why I needed the desk calendar - it's open, in front of me, and hard to avoid. The planner is more of a backup. If something is really important, I set an alarm on my iPhone to remind me a day or two in advance so I know I won't miss it. I have 3 notebooks - miscellaneous, business, blog - to keep track of ideas I have for each area of my life. The miscellaneous one holds shopping lists, to-do lists, Pippa quotes, and the like. The business notebook keeps track of my income producing activity and ideas for growing my business. The blog notebook is so I can write down blog post ideas as they come, and brainstorm, organize, and edit content. As you can tell, I prefer hand-written to electronic when it comes to organizing my life. The act of writing it down helps me remember, and I have found that I am more likely to look at a physical item rather than open an app on my phone. This system can be somewhat redundant, as I am writing some calendar items 3 or 4 times, but it keeps me from being a flake. I need that - others may not. 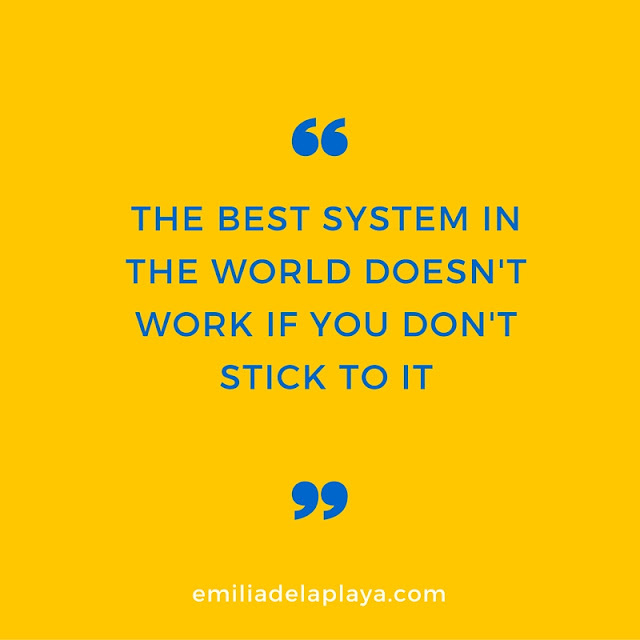 The most important thing I learned through this process is to find the system that works for you. To make something a habit, it must be convenient, and in plain sight. As badly as I wanted to consolidate my planning to electronic devices to save paper and space, it just wasn't working for me. I didn't find it convenient. I never checked it. Find the simple system that your family can stick to. It feels good to no longer have the nagging feeling that I'm forgetting a doctor appointment or deadline - it's all right in front of me. 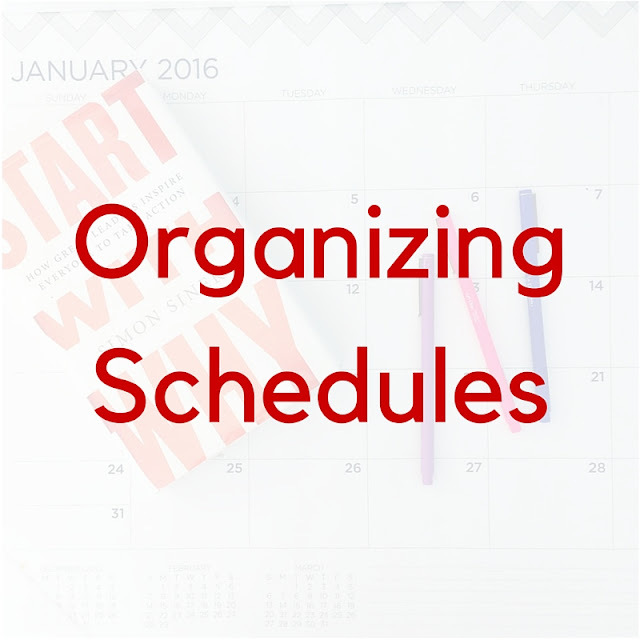 How do you organize your family schedules? Do you prefer paper and pen, or electronics?